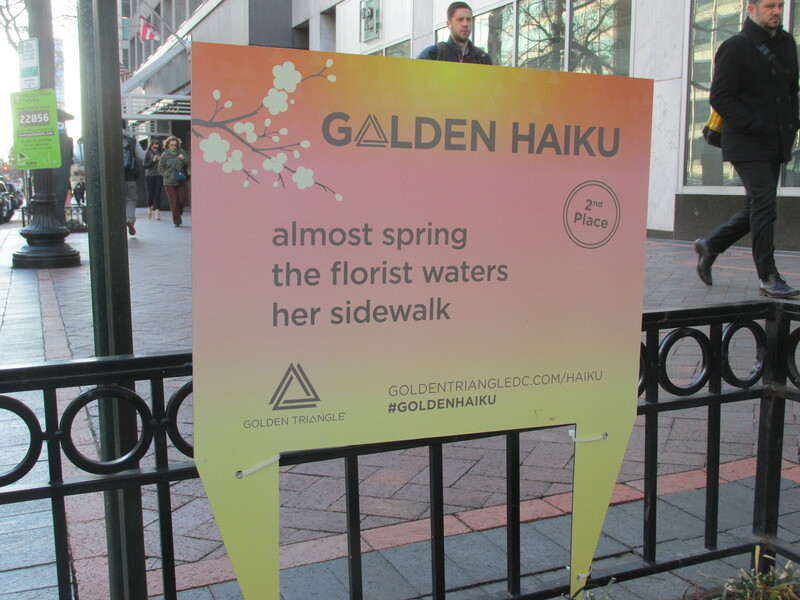 With Spring, Haikus Sprout in Golden Triangle BID | Park View, D.C. 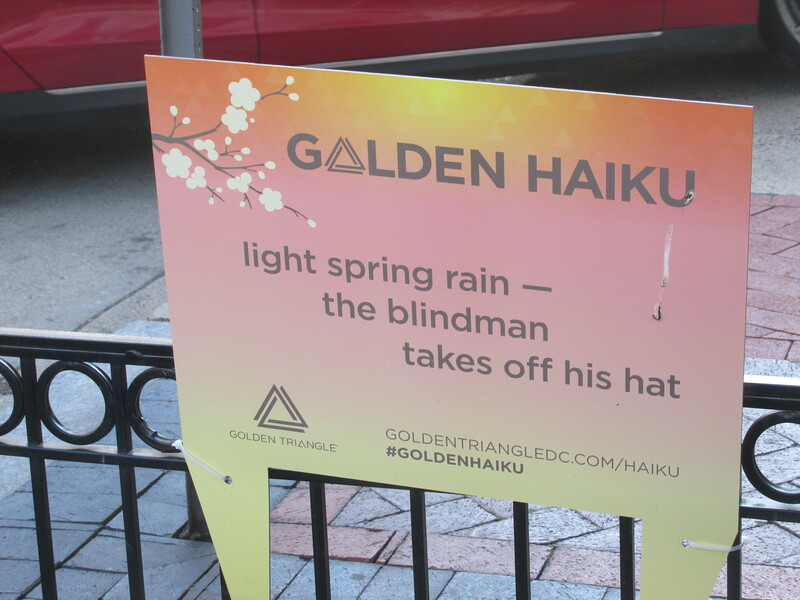 Here are some of the many Haikus currently posted around the Golden Triangle Business Improvement District. 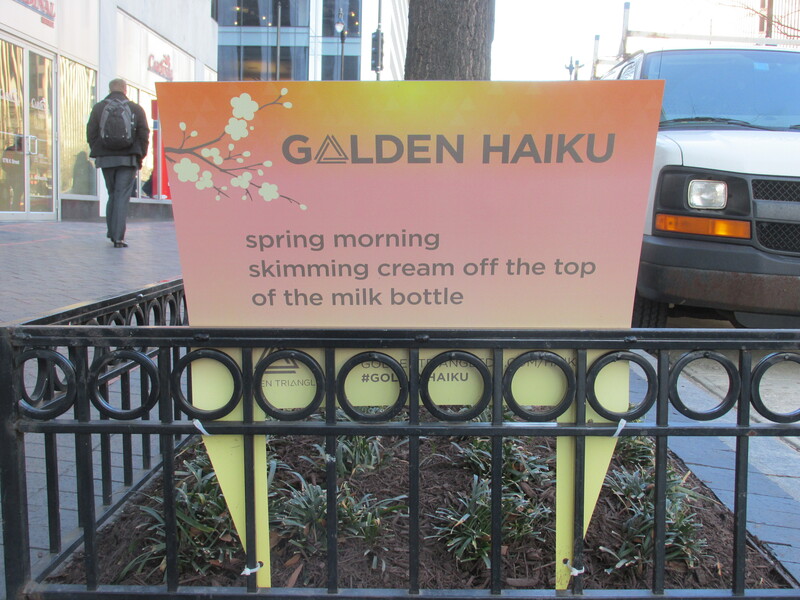 These examples are found on K Street. I like how the Golden Triangle BID finds creative ways to make the area interesting — something that a Georgia Avenue Main Streets should consider when one is established. This entry was posted on March 21, 2016 at 9:18 am and is filed under Art, literature. You can subscribe via RSS 2.0 feed to this post's comments.